In an aquascaped world, you will need to accurately fulfill this requirement as it will be the heart and soul of the health and growth of your plants. A good indicator would be having 1 Watt of light per litre of water. This is needed for good growth in a planted tank of up to about 20 inches deep. It will provide optimum growth. It is recommended to have the light turned on for a minimum of eight hours and not more than ten hours a day. Less than eight hours a day will result in the plant looking weak and they will not shine in their perfect color. It will also increase algae growth if the light is kept on for more than 10 hours a day. The lighting system can be turned on during the day or night. It does not have an affect on the photosynthesis process of the plants. These are very bright and give a very nice lighting effect but can become very hot and need to be hung or placed above the tank. New clip on style halides (as shown in the above picture) will provide the brightness and ease of attaching onto the aquarium. This makes them a good option for lighting. For large tanks, these are a must. Anything around 2 feet deep or 4 feet long will need Halides as it will prove to be more effective as opposed to the T5 option (as described below). 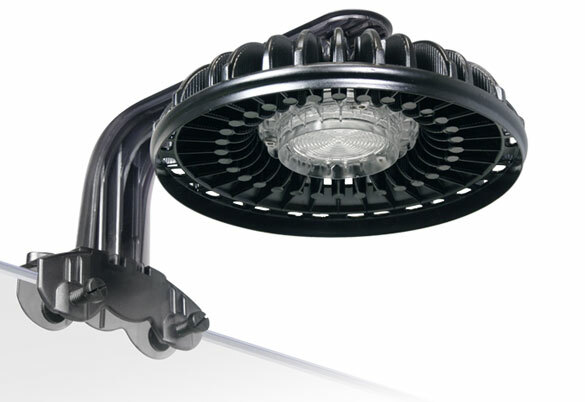 Lamps rated at a temperature measurement 5500-6500K (Kelvin) are generally appropriate for freshwater tanks. These are of a newer technology and are smaller and brighter than the T8 fluorescent. They provide great lighting for its size and can be attached directly on top of the tank. In addition, they provide an even spread of lighting across the tank which can be both good and bad as you will lose the ripple effect of the water. In spite of that, all areas within the ecosystem will be provided with equal brightness improving the overall healthiness and growth of your plants. The fixture makes it easy to illuminate the fishes and aquatic plants in the aquarium. Normally, a fixture comes with either two or four tubes of lights. It is recommended to place half cold light and half warm white bulbs. 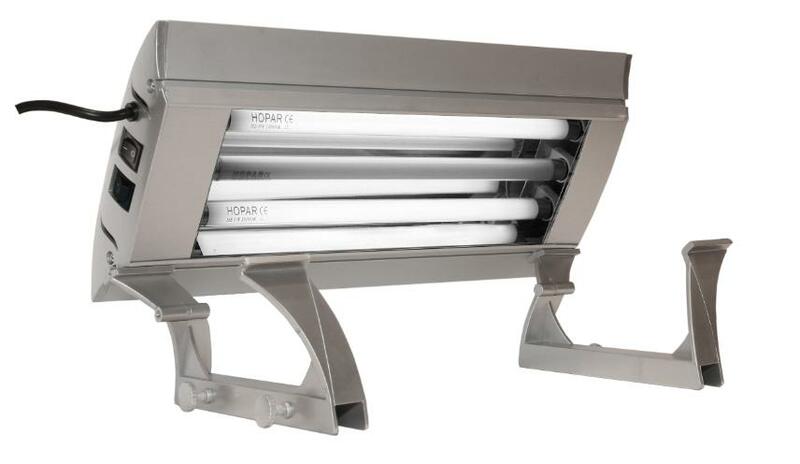 Two tubes fixture is more than enough for a 60cm x 12cm x 40cm tank. If you have red color plants in your tank, a red coloured bulb can be used to replace the warm white light bulb, so as to enhance the appearance of the plants. LED that actually works for planted tanks! Most of the LED fixture in the market doesn't produce strong enough light source that is equivalent to what the plants need. It also has a limitation when it comes to producing even lighting throughout the tank. This light was tested on a 30cm cube glass and also on a 60x45x45cm aquarium. Both of these tests were successful. If you have a large aquarium and are on the hunt for an LED that actually works, give this a try but of course it will cost you a bomb. The T5 is recommended as it is cost effective and the easiest to maintain. The heat that is emitted by the light is minimized as opposed to the metal halides. All the lights above can be fixed onto the tank itself or hung, hovering above the tank if the location of the aquarium has a supporting beam above it.